As Great Britain struggles with ongoing threats of terrorist attacks, and the inability of many Muslim immigrants to assimilate into the British culture, accounts of random hooliganism often slip under the radar. But it seems they may be on the rise. 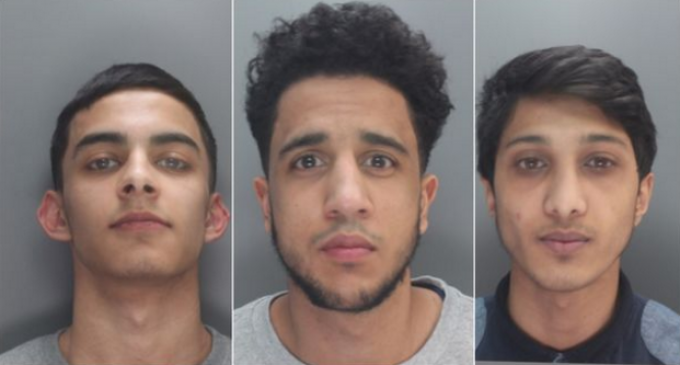 Authorities in Liverpool just today dispensed justice to three Muslim thugs who terrorized citizens in the city center with a rampage on March 20. Counter-terrorism officers finally brought the gang to justice. The trio initially denied a racial or religious motive for their random assaults, but eyewitness accounts provided the evidence needed to demolish their claims. Defense attorneys struggled to mount a convincing argument for the hoodlums because the victims were able to make such compelling testimony. Pleas for leniency were ignored as well. Learn the heartless nature of the gang’s attacks, and how whites and Christians were targeted by the trio. On the next page, find out the punishment received and how the cowards reacted.